Scenes from a Junkyard Planet: The Platters. During the run-up to the November 12 release of my first book, Junkyard Planet: Travels in the Billion Dollar Trash Trade, every weekday I’m posting a new photo taken during my decade of reporting on the global waste, recycling, refurbishment, and repair trade. Today’s image reveals a low-tech means of recycling the platters that store the data inside of your hard drives. Click to enlarge. 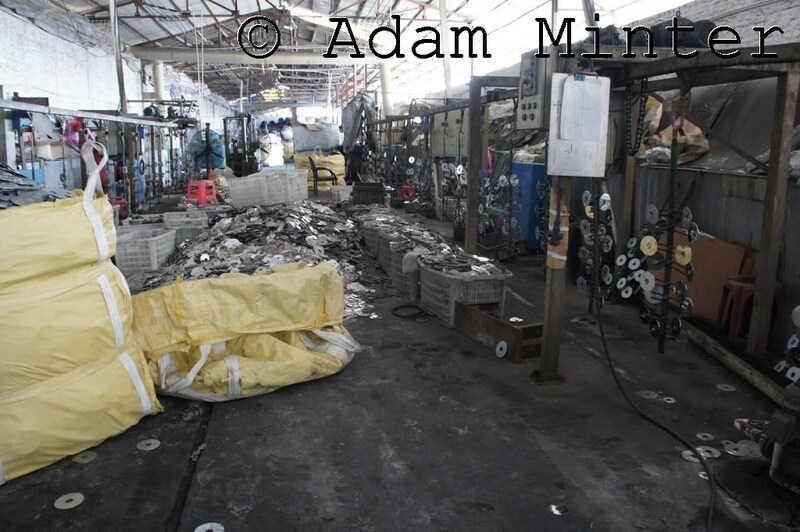 This 2011 image shows a south China factory devoted to the recycling of hard drive platters – those small, spinning discs inside of your drives that contain everything from your taxes to your family photos. The discs in this photo are aluminum, though they can also be manufactured from ceramic materials. Whatever the platter material, all discs are coated in a magnetic medium with significant monetary value. In the US, EU, and other developed countries, hard drives are shredded, rendering the platter and its valuable magnetic medium worth less than the value of the aluminum itself. But if a drive is sent to a developing where hand labor can be utilized to remove the platter, the disc and the medium can then be recycled. The problem, as this photo reveals, is that the means of removing the magnetic medium from the platter is a simple chemical process that – alas – is typically performed in low-tech and environmentally unsound workshops. In this image, note the arrays on the right from which the platters are hanging. Those arrays will be dipped into a chemical bath which will remove the coating and render the platters into pure aluminum. Later, the coating will be refined and sold. It’s a dirty and dangerous process, and it raises a tough question: what’s better for the environment, this dangerous south China factory, or a US-style recycling plant that shreds discs into pieces that can’t be recycled nearly as well? After an unusually acid week on Shanghai Scrap, the staff couldn’t be more anxious for the weekend. And we have plans. First and foremost. If you happen to be in Shanghai at 16:00 on Saturday, and you take even a minor interest in all of those crumbling colonial buildings that dot downtown, then you’d better attend Amy Sommers’ lecture to the Royal Asiatic Society, “Disappearing Shanghai: The History of Shanghai Housing 1949 to the Present.” Regular readers may recall that I did a two-part Q&A with the wonderful Sommers on this very subject during summer of 2010 (part I and part II); they are two of my favorite posts from the long and illustrious history of Shanghai Scrap (again, part I and part II), and if they offer any indication of what’s to come on Saturday, you’re in for a treat. 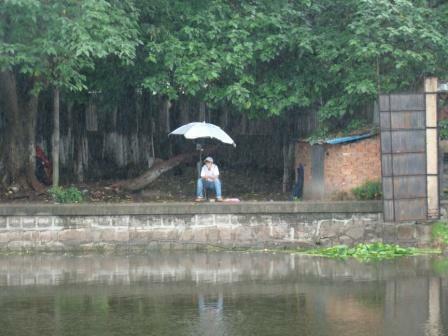 Better yet, Sommers’ presentation will feature photographs from my friend (and reported birthday celebrant) Sue Anne Tay (also the victim of a Shanghai Scrap Q&A, here), best known for her extraordinary Shanghai Street Stories blog. In short: Saturday, 16:00 at the Puli Hotel, 1 Changde Road, Level 3 meeting room. Complete details here. And finally, this space will be mostly idle next week while I’m guest blogging for James Fallows at the Atlantic. I have a little something special cooked up, something scrappy, and I’ll make a point of adding some links from this page. But the content will be there, and I hope you will be, too. For the record: nobody at Shanghai Scrap is in the least bit alarmed that a Chinese national wants to pay more than anybody else for the Liverpool Football Club. We have not read articles about this matter. We have not written blog posts about the matter. In fact, our interest is really limited to one fact: the prospective buyer, Kenny Huang of QSL, has a partnership with the Chinese Baseball Association, and the youth wing of that association just won a youth tournament over Japan, the United States, Taiwan, and several other baseball playing countries – on its first try. 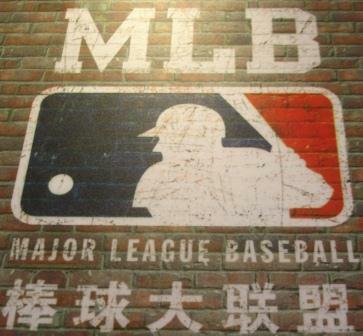 For years, we’ve argued that China has a glorious future on the baseball diamond, and this feels like sweet affirmation. 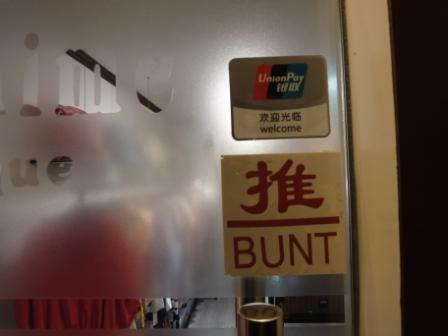 For my many non-American, non-baseball loving readers, a bunt occurs when a baseball batter taps the ball forward, rather than swings at the ball (wikipedia has an excellent entry on the bunt; e-how will give you detailed instructions on how to bunt; youtube has a treasure trove of bunting videos). Is this an instance of Chinglish? After several lengthy discussions on the subject, I argue that it’s not (and thus does not violate Shanghai Scrap’s One Chinglish Post Per Year rule). Rather, what we have here, is poetry: to bunt is to push the ball, and the act of bunting often looks – if you squint – like somebody pushing open a door. Or something like that. Reluctantly, I open comments. The Dancing Beauty and other tales of carp fishing [equipment] in China, Pt. 1. According to my sources, there are over 20,000 fishing tackle shops in China – a commercial phenomenon that defies many foreign stereotypes about China, not least of which is that you can’t find any good fishing in China. Over the next couple of months, and in a few different venues, I’m going to do my best to overturn that stereotype. 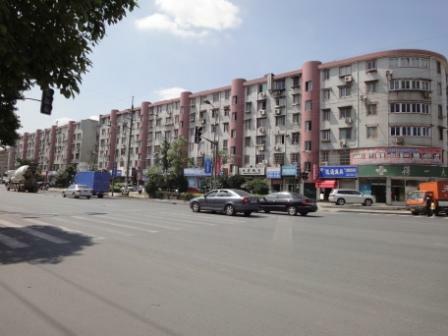 But, more than that, I hope to show something different, and more positive, as well: that a growing Chinese middle-class, outfitted with spare-time, automobiles, and a desire to get out of the cities, is embracing fishing and other outdoor sports. Regular readers know that I’m loathe to draw sweeping conclusions from limited data, but in the case of fishing in China, I will say this: I’ve never met a fisherman who doesn’t care about blue skies and clean water. From such things, conservation movements have been born. So how to measure the scale of fishing in China? I am not (yet) ready to give up the location of my favorite Chinese fishing holes. But, as a public service, I am willing to give up the location of the largest fishing tackle hub that I’ve ever encountered outside of the United States (hello, Cabela’s). So: grab yourself a taxi out to Putuo District, and direct the driver to the traffic jammed corner of Jinshajiang and Jingyang roads. There you’ll find a block-long, soot-streaked, pink tile building that – on its first floor – houses more than two dozen fishing tackle shops.